Websites are foundational for small businesses and nonprofits, especially for those interested in navigating online sales and reaching customers outside of their brick and mortar location(s). Over the past few months, we’ve enjoyed working with Conrad’s Deli to do just that. We’re excited to announce the launch of Conrad’s new eCommerce website! 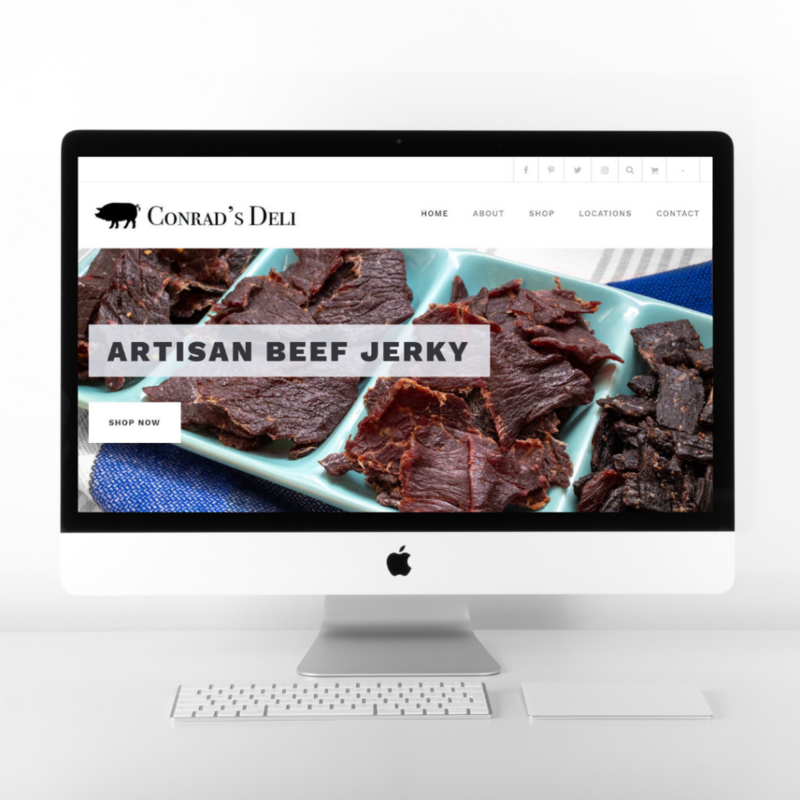 As Conrad’s Deli’s first business website, ConradsDeliMeats.com opens up sales possibilities for this locally-owned small business. 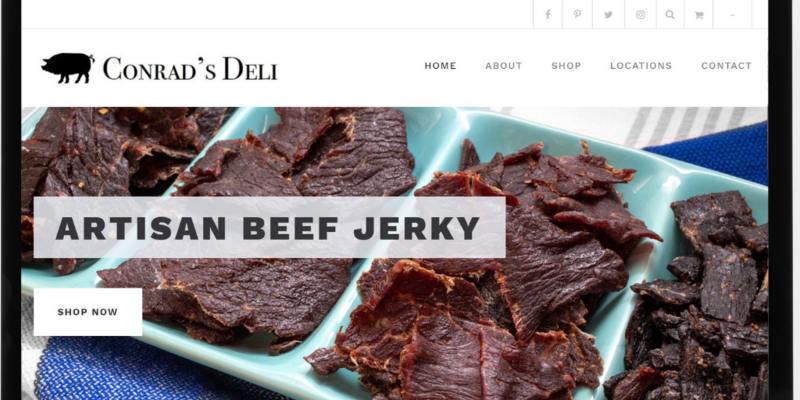 Sharing their delicious beef jerky and snack sticks is easier than ever- especially since customers can now order them from the comfort of their home or even on-the-go via their mobile device. 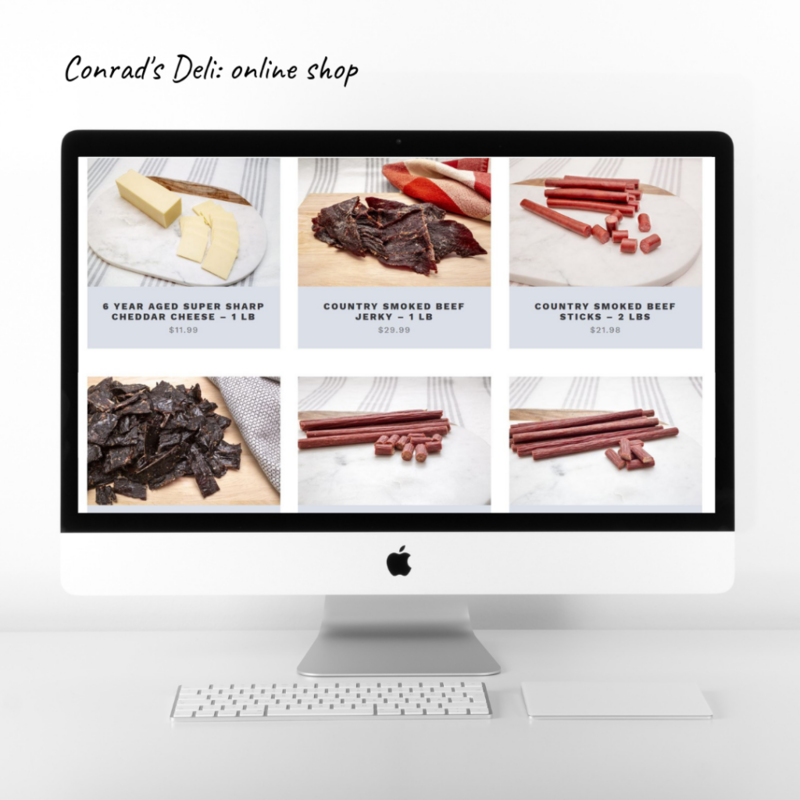 As fans of Conrad’s quality deli foods, we were thrilled to work with their owner to provide the deli with a website that would open the door to a larger audience through an online shop. Conrad’s sets up shop at four physical market locations: Renninger’s Antique and Farmers’ Market (Kutztown, Pennsylvania), York Central Market (York, Pennsylvania), Green Dragon Farmer’s Market and Auction (Ephrata, Pennsylvania) and Root’s Country Market and Auction (Manheim, Pennsylvania). And now, through their new eCommerce website, they’re able to serve customers from across the country. Check out Conrad’s Deli, and let us know what tasty deli product you bought!